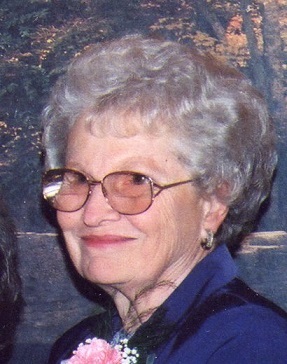 TURNWALD, Helen Ann – of Maple Grove, died Saturday, March 23, 2019 at Union Court in Chesaning. She was 88 years of age. Helen was born April 10, 1930 in Burt, MI to the late Alois and Antonia Jaska and was a resident of Maple Grove most of her life. She was united in marriage to Raymond Turnwald Sr. on April 7, 1951. He preceded her in death on April 24, 1990. Mrs. Turnwald was employed by Peet Packing for a short time. She was a member of St. Michael Catholic Church, sang in the choir and played the organ. She enjoyed gardening, her flowers, painting, baking and playing the organ. Ray and Helen had hosted several exchange students and sponsored some families and children. Surviving are: children: Raymond Jr. (Sue) Turnwald of Corunna, Robert (Gayle) Turnwald of Owosso, Bernie Turnwald of New Lothrop, Daniel (Mary) Turnwald of Chesaning, Eugene (Lisa) Ziola of Maple Grove, Daniel (Wendy) Ziola of Grand Rapids; 11 grandchildren; 11 great grandchildren; many nieces, nephews and dear friends. She was also preceded in death by and infant son, Joseph and 3 brothers. Fr. Robert Byrne will celebrate Mass of Christian Burial at 11 a.m. Wednesday, March 27, 2019 at St. Michael Catholic Church in Maple Grove with burial to follow in St. Michael Catholic Cemetery. Visitation will be at the Misiuk Funeral Home in Chesaning on Tuesday from 1-8 p.m. with a Knights of Columbus Rosary to be prayed at 7 p.m. Visitation will be at the church on Wednesday from 10 a.m. until time of mass at 11 a.m. Contributions in her memory may be made to the family or the Humane Society of Shiawassee County. You may light a memorial candle or share a memory at misiukfuneralhome.com.